that I spent a couple of weeks hand building. well I missed it, so here's a quick remake I did. 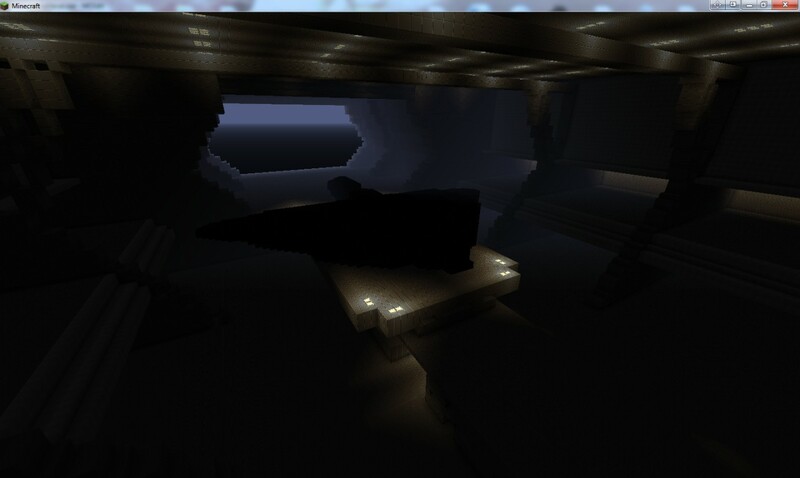 Its been converted to and from mincraft to some 3d file types, so a bit messy. Crammed as much corridor and locations into my shell as I could manage. there is no particular order or layout, consequently expect to get lost OFTEN!!! OH stay tuned for my next big project, apparently I'm going to reproduce the Ark. & a special thanks to DirtyBot for allowing me to use his pelican model. 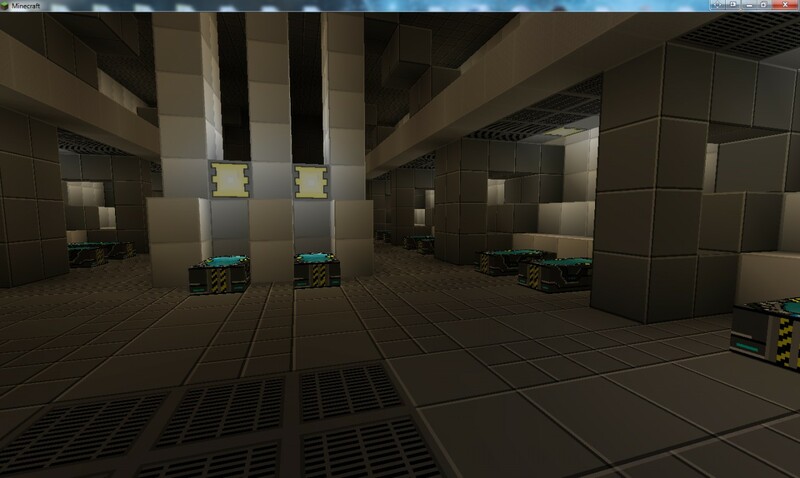 Q: Which Texture Pack do you use? Q:Does it have an inside, or is it just a shell? nA:Due to popular demand, I will release a world save version in the next release. Hello Gyro, I was wondering if I could use your ship, and change it up a bit and give it an full interior. I will give you credit. Have you looked carefully, because in the normal save, there's MORE than one ship. From what I remember, there's a Marathon, a Halcyon and one or two Frigates. Maybe your'e right, and the guy forgot to include everything in the schematic! if i tried to use this with MC-Edit would it still honor world build height? because if not id love to have this in my world!!!!!!!!! I downloaded his build, and from what I remember, it's around 200 block high (around this) It fits in any world, (MC Edit or normal Minecraft). So yes, you can use it. By the way, I'm currently building a close to 1:1 scale POA. 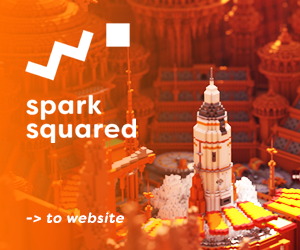 (in decimals, 1.0 is real-life size, and if you divide every measurements by 2.0, you get a half-size replica. My build is at the maximum height size, so everything is bigger than HIS POA, but smaller than real-life. I'm doing it with a 1.364 dividing ratio.) 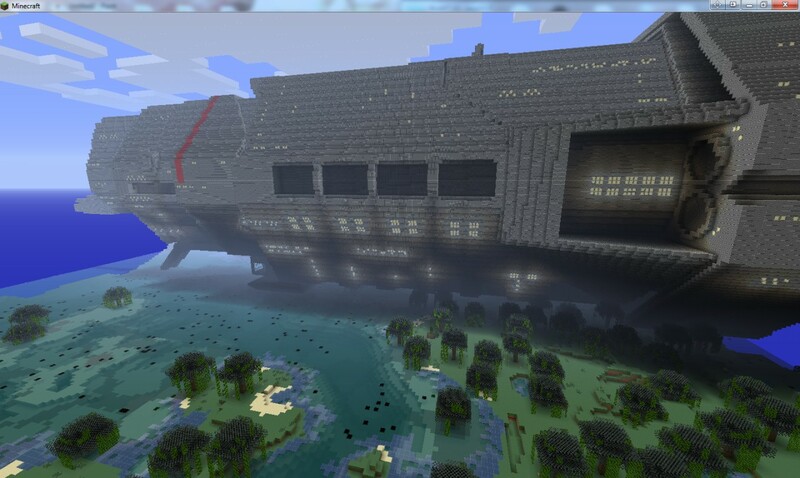 I'm going to be the first and only Minecraft to do such a huge Pillar of Autumn!!! 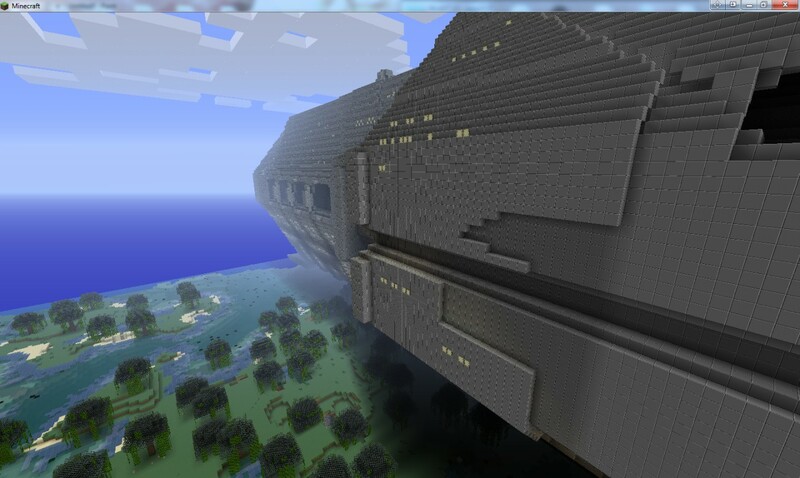 I mean by this that my version will be the most close to real-life size of the entire Minecraft internet!!! OMG. 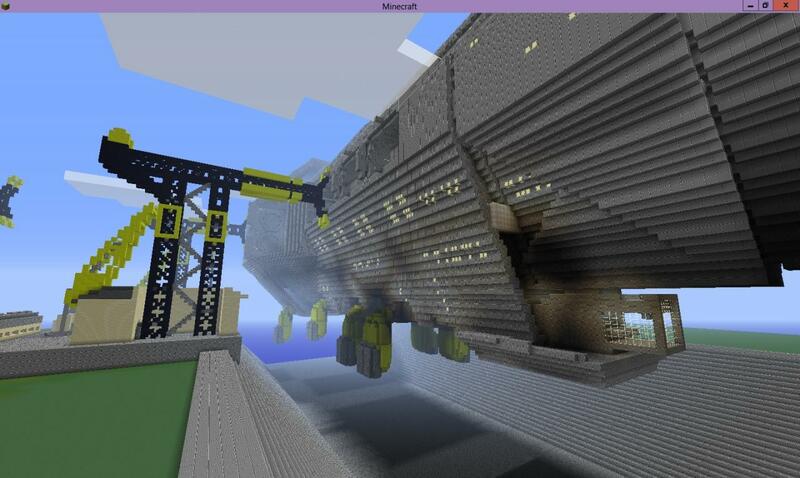 Currently, I'd say I did 30% of the exteriror hull and structures. I'm planning to do the interior as well!!! It's going to be long, but I'll be so proud of it. 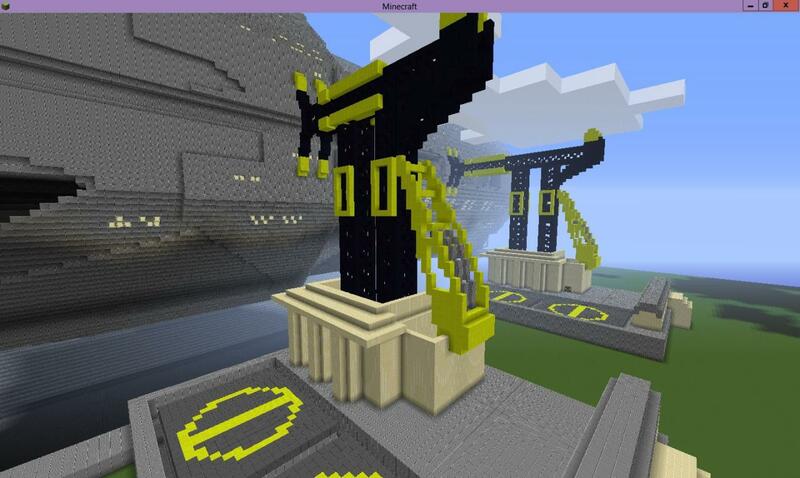 I saw, i love it, hon estly all im waiting for is to be able to find a program or mod i can bring schematics in on my mac, if i do, can i bring these in my halo community map? you ofcourse will recieve creadt, and they will have a huge part in the overall storyline once i get that underway, i will even customize my UNSC Fleet Captian skin (Eye Color, Hair Color, Facial hair) to your request, and place him in the ship of your choosing aswell! aslo do you know aprogram i can use? Sounds impressive! could you PM me some screen shots? Sure! I'll take some tonight and send them to you at the same time. So far, I spent 36 hours on it. (with roughly a 1 hour error margin, since I write the hours I spend everyday. I round them to hours. without calculating 30 mins... Anyway, I started building the forward-mid section yesterday. My scaling is very good, excpet for the bridge, because I realized the 3D model I'm using was slightly smaller than it should be... :) I can't wait to finish this project. It's going to be my first ''very big'' build! Sounds good! by any chance do you know how to use Schematics?? because if you do id like to put in in my halo map! ofcourse giving you the appropreiate credit. BTW, does hosting a file on internet cost money? Is there some websites or ways to do it for free? What I tought, but thanks for the additional info! P.S: I'LL send you pictures right now. Oh and I created an initial post. 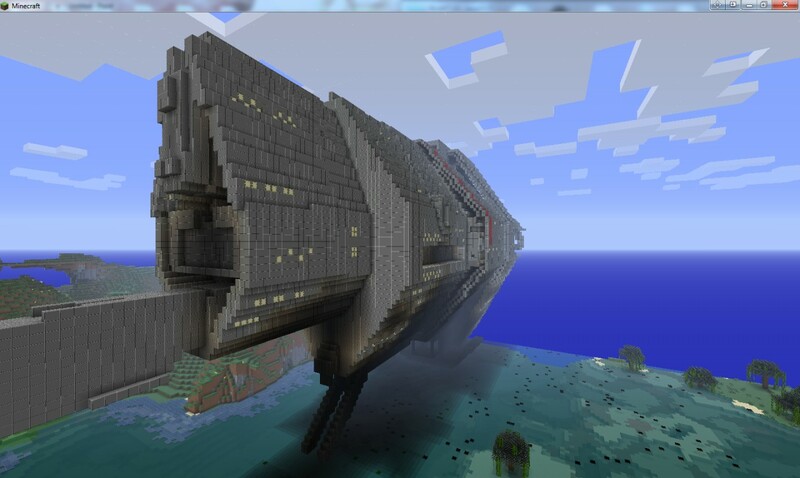 Hey Gyro, is it ok if I use this ship for a halo adventure map? How i download this ship? will downloaded maps work on any version of minecraft? The scale of this build is astounding! 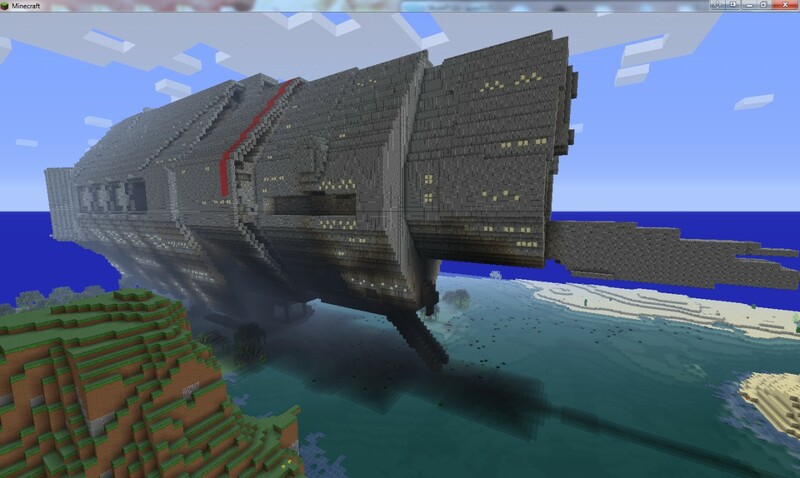 hmm mm this+ zeppelin mod =epicness! I loved halo CE so you made my dreams come true!!! 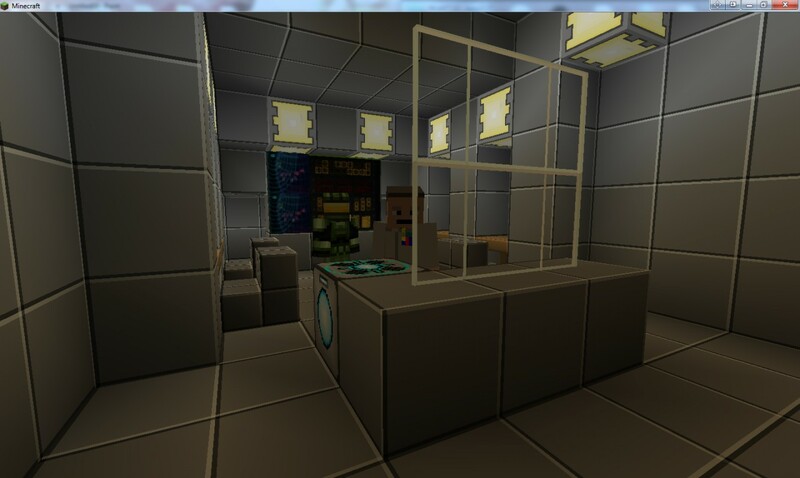 I am redoing the interior and finishing it to make it look as best as I can to the actual one. If that is all right with you. 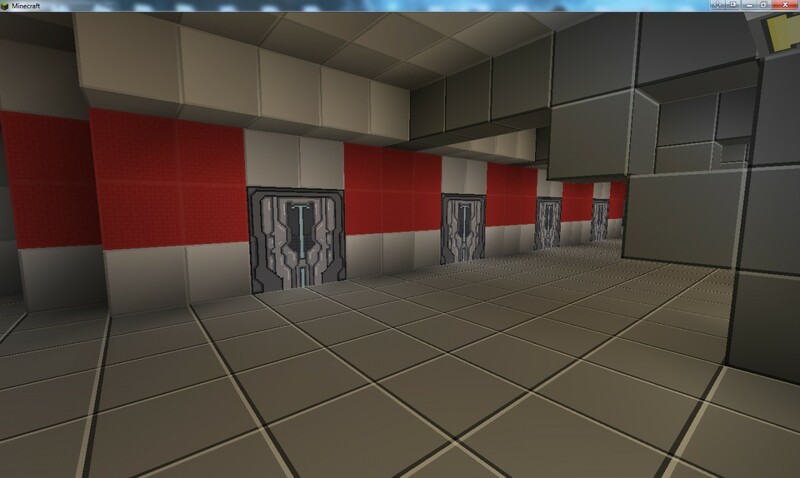 I'm a little new to all this but could someone explain to me how to download and add these maps to minecraft? Is there any way you could make a .zip? message me for more details on how to get on the server. ill give you a run down there, if your interested. Check out my project too? 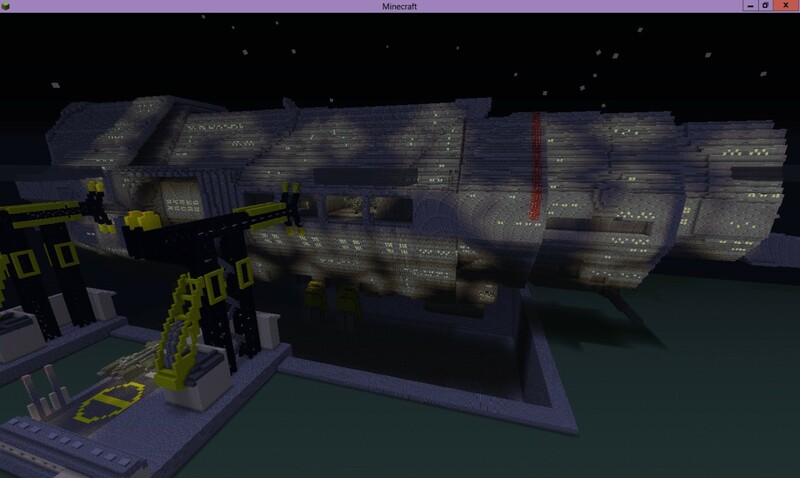 I made the engines a light blue color, using the lamps from the red power mod :D. awesome interior btw. 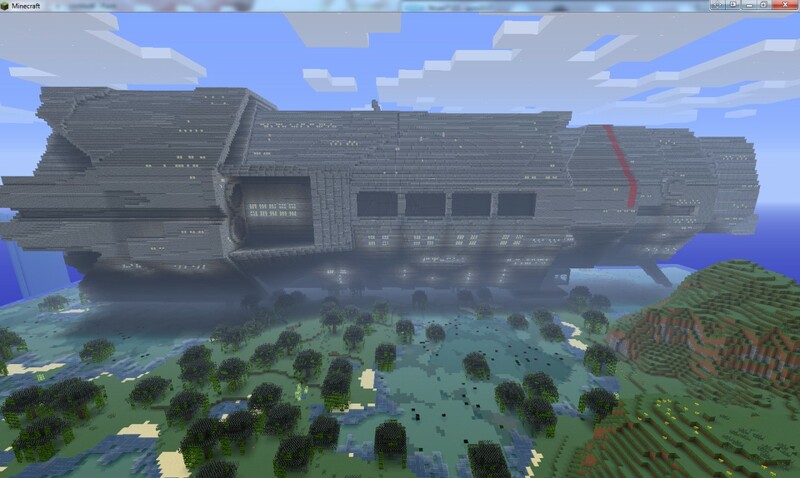 Yea I'll show you some pics I uploaded :D.
Guys for the best experience, download the Halo Combat Evolved Texture Pack for Minecraft 1.2.5!!!!! hello i was thinking is this on a server or a singel player map? if is a server can i have the ip plz? if its a singel player map can i have a copy? Amazing! Any plans on doing High Charity?